Did someone say free concert?! You may have heard the ads on the radio for the Illumination Concert Series in your city. In addition, you may have also noticed our event staffing Canada support showcased across our social media. These exclusive shows, with big names, are brought to you by Aurora Cannabis. The purpose of the experience is to celebrate music, arts, culture – and, legalization of cannabis. 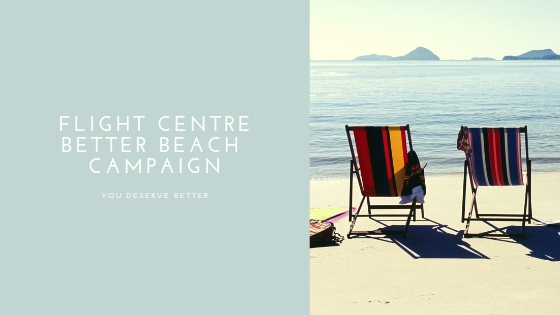 This mission is perfectly branded with Aurora Cannabis, who is a community minded, Canadian owned and operated company, Medical marijuana producer and distributor. So, what is so special about these concerts? First of all, the experience is free – you just have to enter for your chance to win. 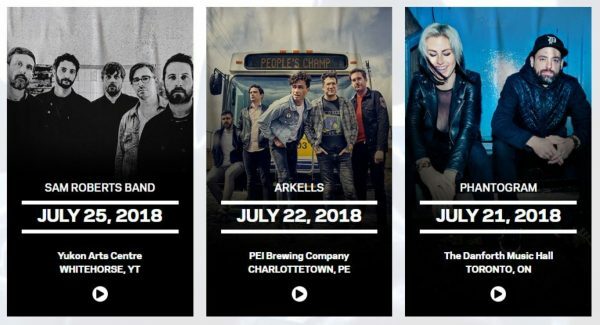 Each city across Canada has a different headliner, featuring artists such as City and Colour, Post Malone, Kings of Leon and Dillion Francis. Sounds too good to be true, doesn’t it? Our event staff across Canada completely agree – they are thrilled to use their talents at these exclusive events. VP+C contacted Tigris to team up with them and support the concert series with Canadian event staffing including production assistants and brand ambassadors at each location. 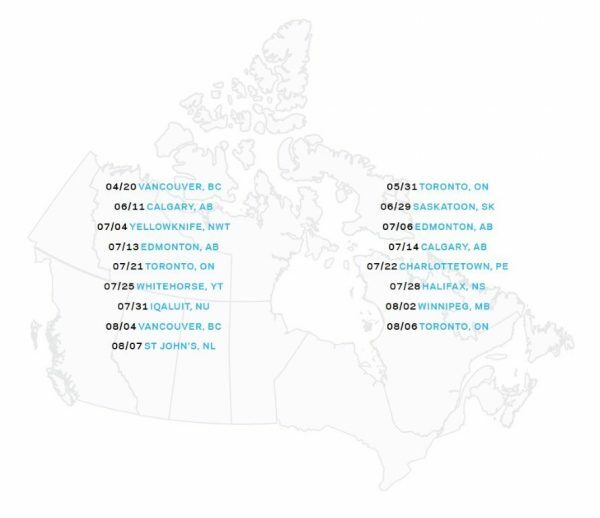 As you can see from the list below, these concerts are literally coast to coast – we even staffed our first event in Yellowknife, NWT along with Whitehorse, YT. On site, our production assistants are responsible for setup, assembling & placing signage, moving equipment & furniture, stuffing tote bags and assisting clients. This position requires proactive staff that take initiative, work smart and efficiently to ensure the concerts starts on time. No pressure, right? 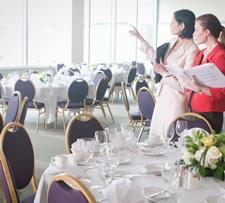 Not for our team of talented events staff – they thrive in a high pace setting. In addition, our brand ambassadors are responsible for working photo activations, merchandise setup, and giveaways. Best of all – the merchandise is FREE!! The photo activations are extremely popular at each concert. Guests have the opportunity to get their photos taken and projected onto the venue’s screens throughout the night. It’s your chance to finally get on the big screen! Our brand ambassadors are responsible for engaging customers to participate in these two activations. The first is a stationary activation; cinemagraph photos. Guests stand in front of a backdrop to have several photos taken in quick succession. These images are combined with a moving aurora .gif to create a custom photo image. Guests are emailed the images to share socially! The second is roaming activation; Aurora Auras. Once the guest’s photo is taken, it is overlaid with a custom aura overlay. See below – an Aurora Aura! Above all, this concert series is extremely successful in creating brand awareness, brand loyalty and potential consumers. The best way to gain trust and a positive brand impression with consumers is to give back to the community and make them feel connected to your brand. 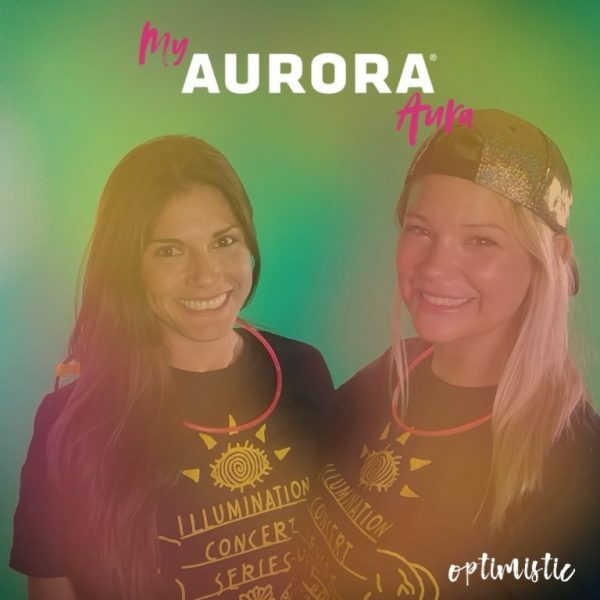 Therefore, by hosting free concerts coast to coast across Canada, Aurora Cannabis is significantly increasing awareness with their target demographic. As a result, they will be top of mind in their industry. Are you interested in working at these amazing events, and others just like it? Submit your resume and 2 recent photos to recruiting@tigriseventsinc.com with the subject line, ‘Event Staffing Canada’. 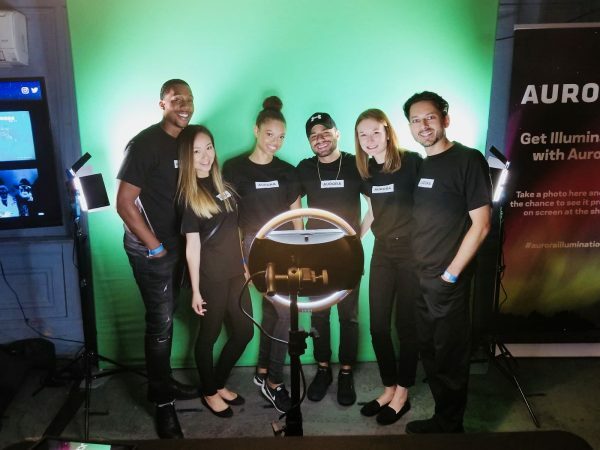 Alternatively, if you are looking to bring your event to life, give us a call at 416-283-9119 or click below for a free quote. We look forward to hearing from you!